Thought that Verizon was warming up to the idea of less carrier intrusion because there aren't any obnoxious Verizon logos on the device? Well, you thought wrong. 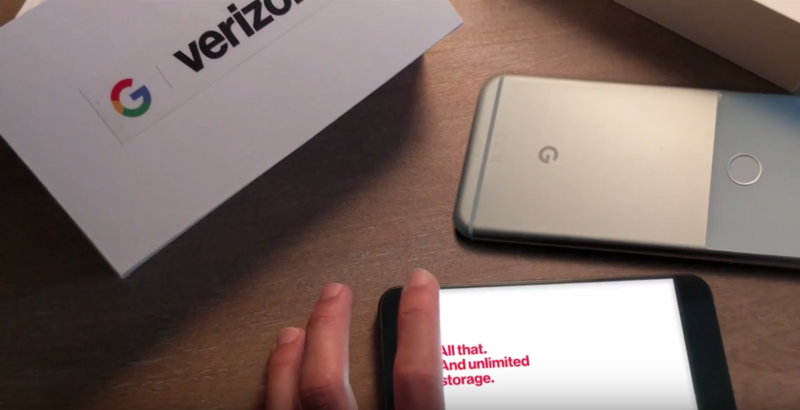 Just minutes before the event, @evleaks tweeted that the Verizon Pixels' bootloaders would not be able to be unlocked; that information has now been affirmed by a Google representative at the San Francisco event. What yr not getting on the VZW Pixels: obnoxious carrier branding. What you're also not getting on the VZW Pixels: unlockable bootloaders. Just before the event began, friend of the site and famed developer jcase came to the conclusion that the Verizon models would likely not have the ability to be unlocked (at least through normal methods) from looking through pre-release software. Shortly after that, Evan Blass tweeted a similar statement out. For what it's worth, the Verizon Galaxy Nexus and Verizon Nexus 6's bootloaders could both be unlocked through official means. In addition, David, who is currently at the event venue, was able to speak with a Google representative and confirm that Verizon Pixels' bootloaders would not be unlockable. While this is unfortunate news, keep in mind that a) this is Verizon we were talking about, and b) Pixels purchased from the Google Store can be used on Verizon flawlessly.